Jimmy Albertson will be making his return to the 450 class this 2017 Monster Energy Supercross series at the season opener in Anahiem, California on January 7. Entering his 10th Professional season, Jimmy will be throwing his leg over his FMF/Merge Racing backed Suzuki RM-Z450. With the help of personal sponsors, Albertson will be traveling to the races in his sprinter van with his wife as a privateer. Jimmy would like thank his sponsors, Suzuki, Merge Racing Technologies, FMF, Seven, Rekluse, Dubya, 180 Decals, Acerbis, Pro Taper, X-Trig, Excel, Dunlop, Galfer, Guts Racing, Works Connection, Bell Helmets, Alpinestars, Oakley, 2XU, Bolt, Reynard Training Facility, Compound 77, Renn Fuels and HRT. 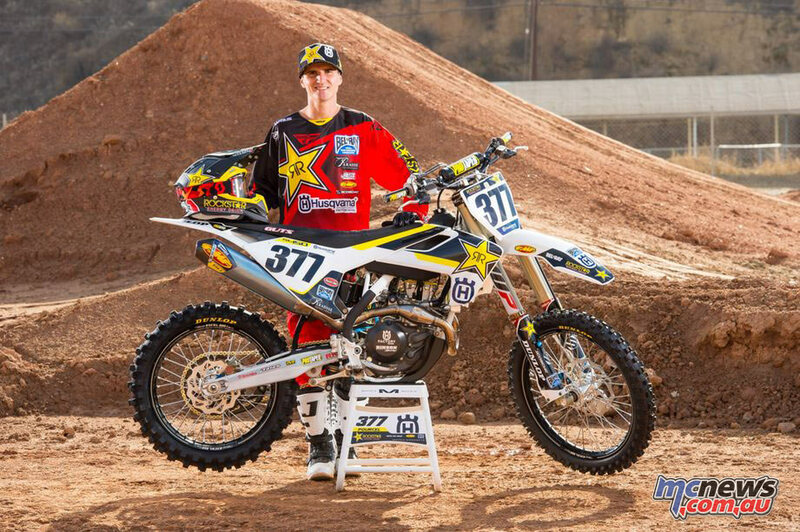 Rockstar Energy Husqvarna Factory Racing announced their rider lineup today in perhaps the least surprising announcement towards the end of a very strange off-season. As expected, Jason Anderson and Christophe Pourcel will race in the 450 class while Zach Osborne and Martin Davalos will ride 250s on separate coasts. You can read the full press release and view the team photos by Simon Cudby below. Rockstar Energy Husqvarna Factory Racing is pleased to release 2017 team photos featuring Jason Anderson, Christophe Pourcel, Zach Osborne, and Martin Davalos ahead of the opening event of the 17-round 2017 Monster Energy AMA Supercross Championship, which starts on January 7 at Angel Stadium in Anaheim, California. Winner of the opening round of the 2016 supercross series, Jason Anderson heads into 2017 looking to mix speed with consistency and challenge for the coveted 450SX title. 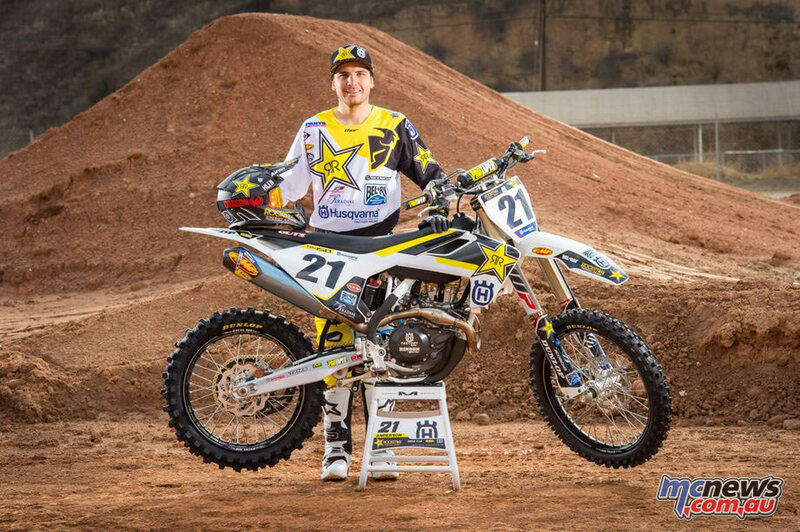 Competing aboard his #21 Husqvarna FC 450 Anderson will lead Rockstar Energy Husqvarna Factory Racing in the Blue Ribbon 450SX class. Competing alongside Anderson, #377 Christophe Pourcel will battle the world’s best in the 450SX category as the talented Frenchman bids to improve on his 2016 championship result. Representing Rockstar Energy Husqvarna Factory Racing on the highly-competitive 250SX West Region Martin Davalos is determined to improve on his 2016 result of fourth in the 250SX East Region championship. 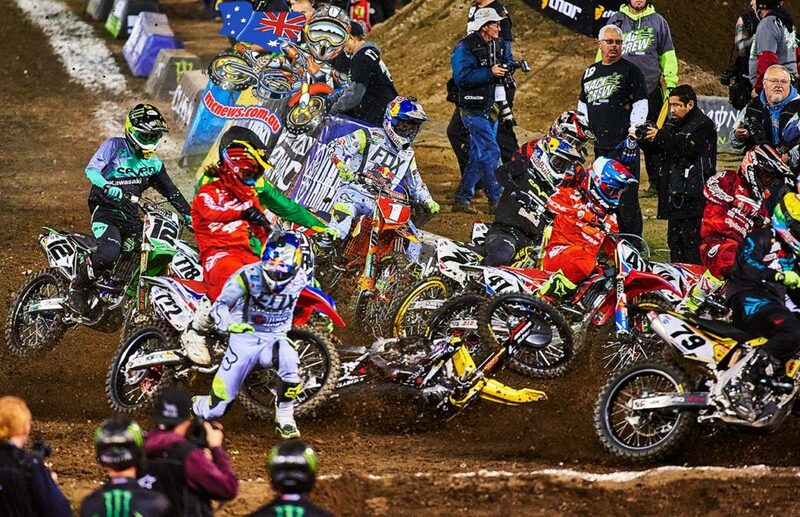 Faced with eight grueling rounds of Supercross racing before the East vs West shootout in Las Vegas on May 6, Davalos is hopeful of improving on his two winning performances in 2016 and challenge for the title. Competing in the 250SX East Region aboard his #16 Husqvarna FC 250 Zach Osborne switches coasts with teammate Davalos for 2017. Fourth and just a handful of points from the championship podium in 2016 following five visits to the podium, Osborne will get his racing underway on February 18, in Minneapolis. Youthstream have announced the provisional OAT (Officially Approved Teams) list which will be part of the 2017 FIM Motocross World Championship. The final and official OAT list will be announced at the end of January, but in the meantime Youthstream is very proud of the numerous requests received so far for every European and Overseas round. 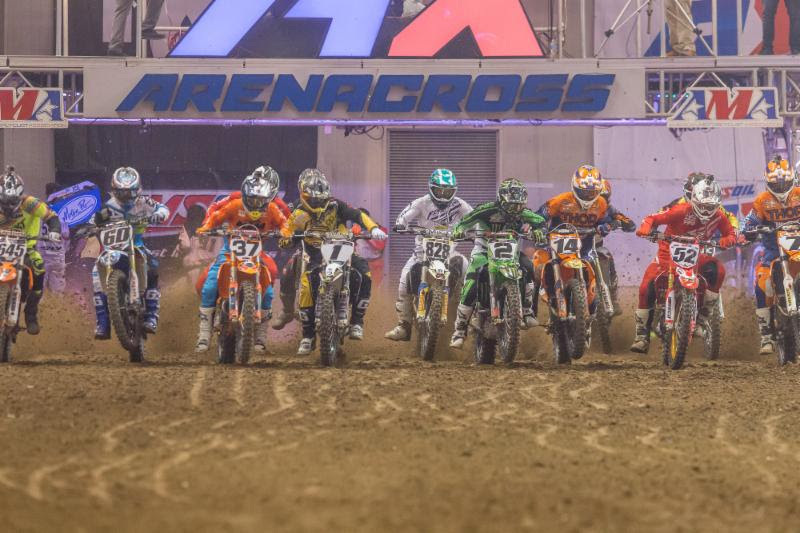 Amsoil Arenacross welcomes 12 factory supported teams heading into the 2017 season, which will consist of 14-rounds in the battle for the Ricky Carmichael Cup. The “Buckeye State” of Ohio will serve as host to the opening round of the championship on Saturday, January 7, inside Cincinnati’s U.S. Bank Arena. Ohio has long been known for producing some of the most talented riders to ever compete in AMSOIL Arenacross, and that legacy provides an ideal setting for a rider to make an early statement and set the tone for what is destined to be an incredible season. 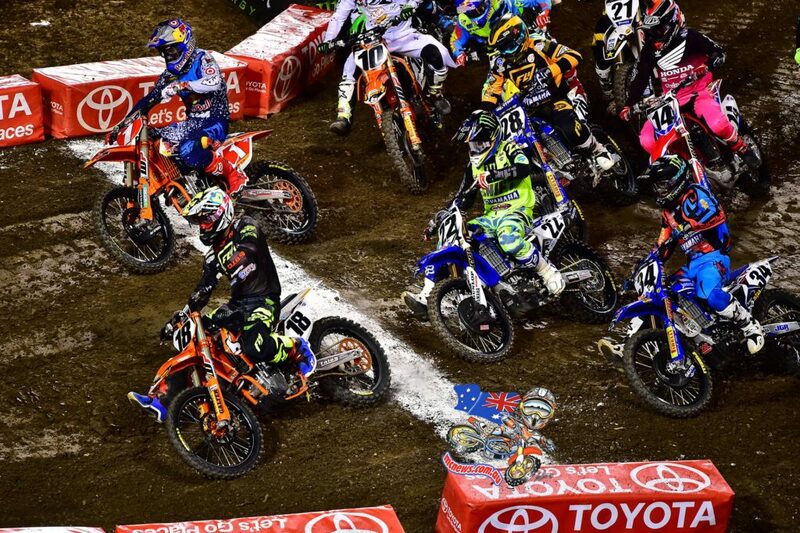 AMSOIL Arenacross is the most intense motorcycle racing on the planet, featuring the most promising and technically skilled riders on two wheels. These fearless and highly talented athletes compete on man-made dirt battlegrounds built inside the country’s most well-known arenas for 17 nights of high-speed, high-flying action that is expected to produce the most competitive championship battle in history. 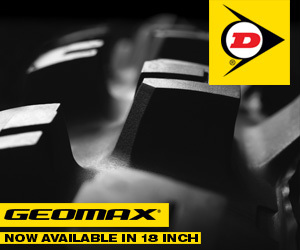 For more information on Amsoil Arenacross, see Arenacross.com. The 2017 GNCC series which kicks off in Union, South Carolina, on March 4-5, will have a 125cc Pro class which is open to riders 15 years or older. The 125 class, called XC3, is open to any rider who meets the age limit including current and former AMA National motocross Pros. The only riders who cannot enter the 125 Pro class are former GNCC, WORCS, AMA National Enduro, AMA National Hare & Hound or EnduroCross National Champions (from within the last 5 years). The British Government have issued a document for public consultation, which gives an option of implementing the European Court decision known as the ‘Vnuk judgment’. The ruling makes it compulsory for anyone using any form of motorised transport to have third party damage and injury insurance. This will affect all participants in all forms of motorsport. The insurance industry has made it clear to government that third party risks for motorsport activities are uninsurable, not least because of the sheer number of potential vehicle damage claims that would arise. 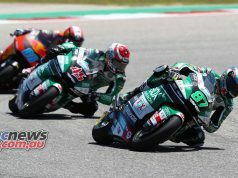 MCIA, ACU and AMCA call on the government to exempt motor and motorcycle sport from any changes to insurance law which arise from the ECJ judgment. The Vnuk judgment imposes compulsory third party injury and damage insurance to all vehicles of any kind when used on any type of land. As well as affecting all motorsport vehicles, it could affect electric bicycles, sit-on lawnmowers, golf buggies, mobility scooters and even uninsured vehicles parked on private property under the Statutory Off-Road Notification scheme. The ruling stems from a case involving a Slovenian farm worker, who was hurt falling from a ladder, which was hit by a reversing tractor. 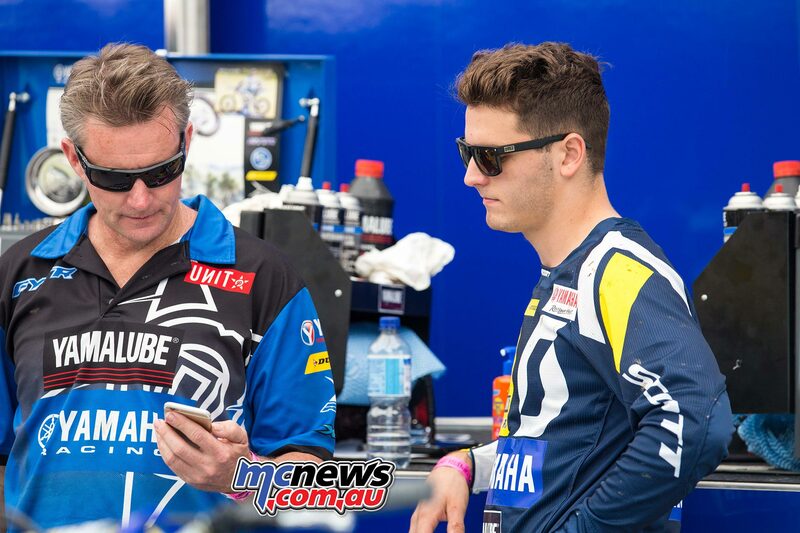 The North Queensland duo of Jackson Richardson and Mitch Evans will spearhead the Serco Yamaha team in 2017 on board the potent YZ250F and compete in the MX Nationals and Australian Supercross Championships as well as other selected events. 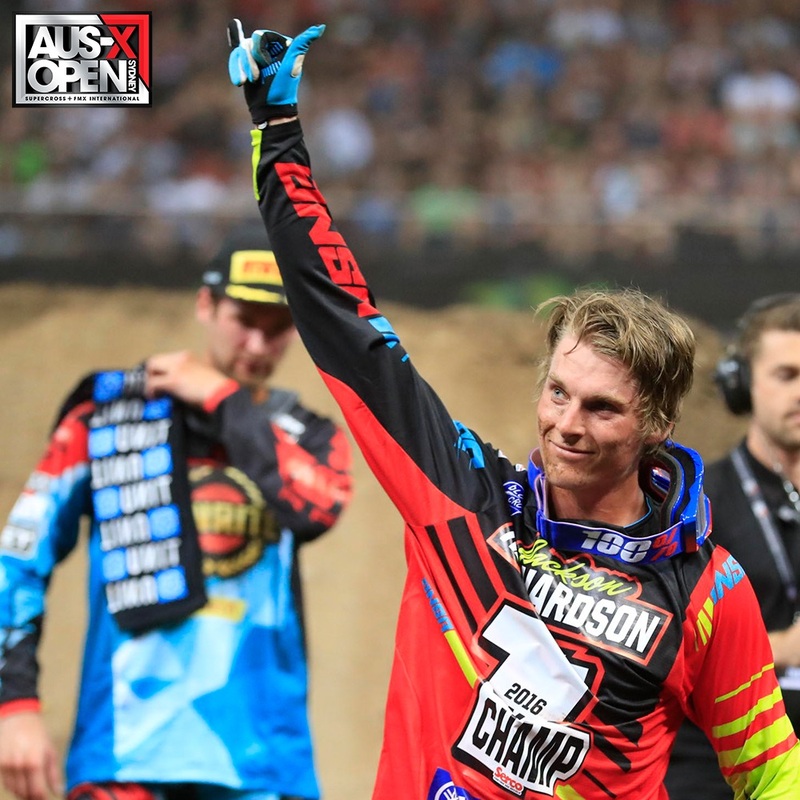 Both come to the team with championship pedigree, with Richardson the current Australian SX2 Champion, while Evans is the reigning MXD MX Nationals champion and both are out for continued success in 2017. 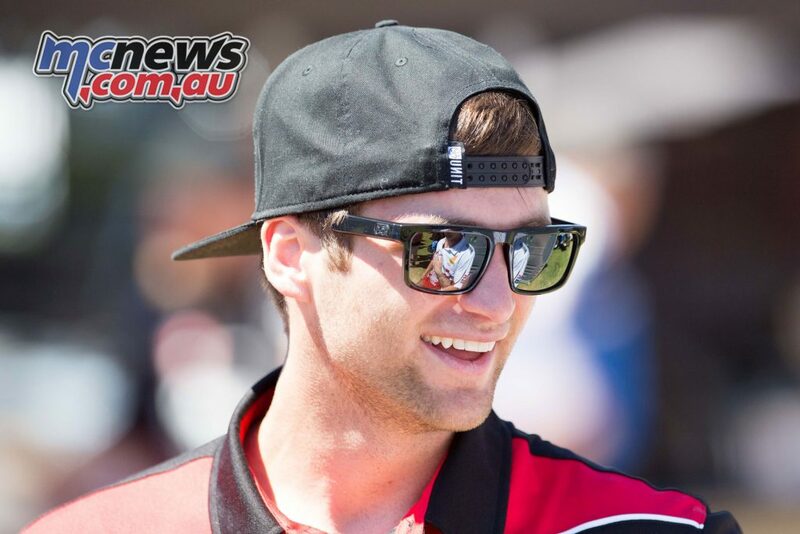 After five years of racing in the US, Jackson Richardson has made his commitment to racing back in Australia following his success during the 2016 Australian Supercross Championship. Richardson took up a last minute option to race the series with Serco Yamaha and instantly found his groove on the Yamaha YZ250F. He enjoyed his time with the team and along with the success he achieved swayed his decision to stay in Australia and now he wants to add more championships to his tally in season 2017. Joining him will be his cousin and current Australian Under 19 champion, Mitch Evans. 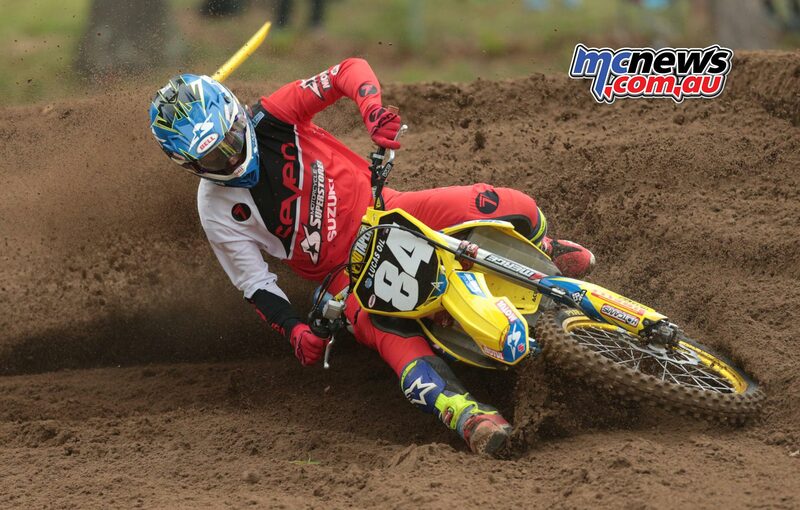 Evans has stepped up to the MX2 class after winning all before him in the MXD and SXD divisions and without the burden of a heavy school load, is set to make his presence felt in the MX2 division. 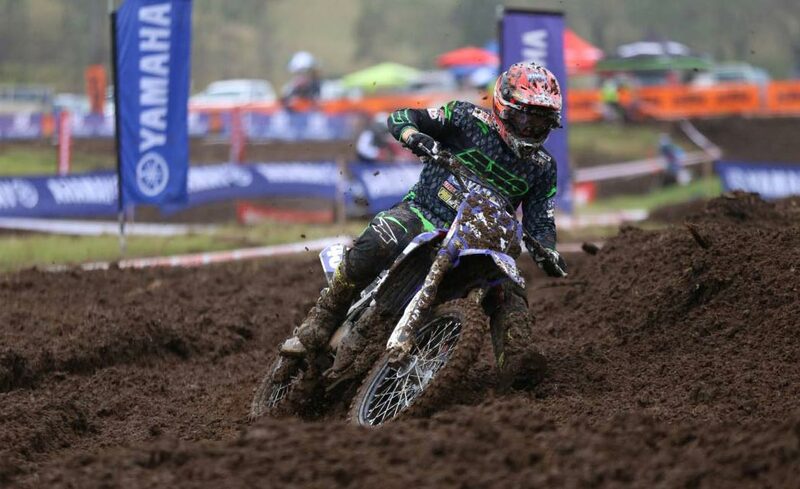 The first national hit-out for the Serco Yamaha team will be the opening round of the MX Nationals at Wonthaggi in Victoria, on April 2. 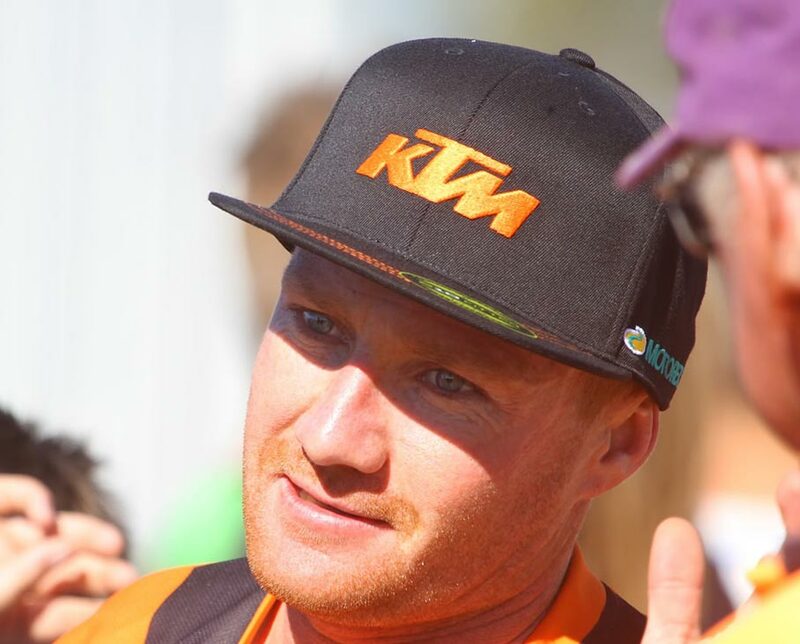 Following his recent departure from KTM, Ben Grabham has now been appointed to Beta Motorcycles Australia management team. Grabham will fill multiple roles at Beta including Brand and Promotions Manager and Technical Advisor. Ben will be based in his home town of Bathurst and will work closely with dealers and riders around the country to enable them to experience all that the Beta range of Enduro bikes has to offer. 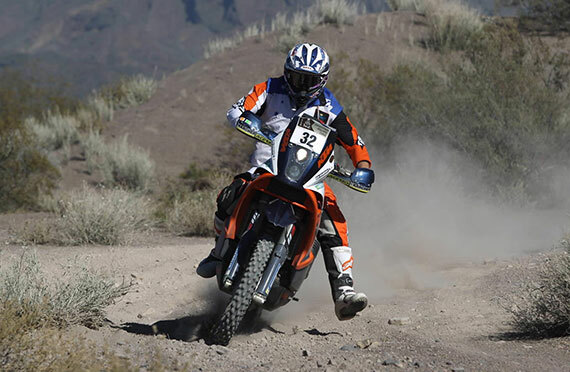 Ben has had an outstanding career as a competitor across multiple disciplines and more recently as the KTM off-road race team manager. Ben is recognised and lauded for his outstanding riding ability but it is his “never say die” attitude, toughness, honesty, straight talking, insightful analysis and down to earth persona that has helped lead to his hero status. Motorcycling Australia’s Speedway Commission would like to announce the draw for the 2017 Australian Under 21 Speedway Solo Championship, where Loxford Park Speedway, Kurri Kurri NSW will again play host to the Championship starting 26th January 2017. Reigning 2016 Australian Champion, Jack Holder will be defending the coveted title next year against crowd favourites and hot competition, Brady Kurtz and the unstoppable Speedway Under 21 World Cup Champion, Max Fricke, all of who raced the 2016 Australian FIM Speedway Grand Prix Championship held at Melbourne’s Etihad Stadium. But the talent pool doesn’t stop there, two time Speedway Youth 250cc World Cup Champion Matthew Gilmore will make the massive step up to the under 21’s Championship on a 500cc machine. With a stacked line up and some unfathomable competition in the midst of Australian Speedway this Championship is set to be hotly contested, you can tell just by looking at the list below. The Australian Speedway Commission have announcing the rider draw for the 2017 Under 16’s 125cc & 250cc Championship’s, ensuring exciting new changes from the U16’s 2016 line-up. The under 16’s 125cc will be held on Thursday 26th January 2017 in Kurri Kurri, with the Championship race to be held on the Saturday 27th and 125cc Teams race (South Australia winning in 2016) on Sunday 29th January as list below. 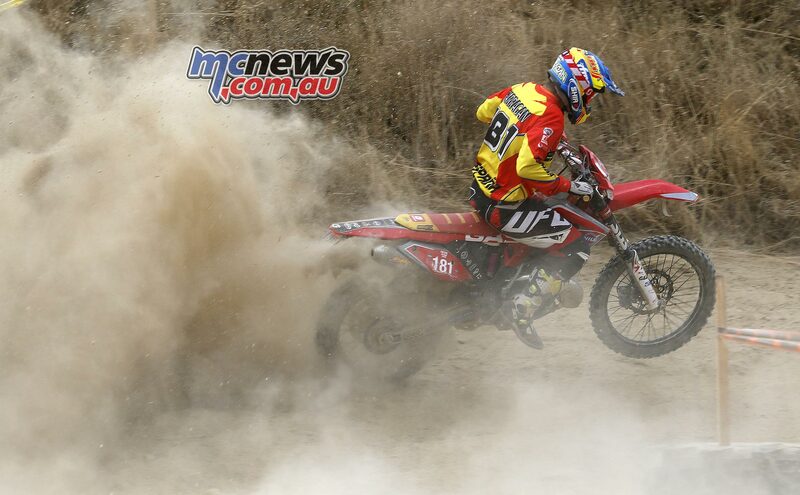 The U16’s 250 series in 2017 see’s not only six new riders on the quarter litre bikes, but the fast paced Keyenan Rew, who contested and won the NSW, SA, VIC, QLD and WA State Championships in 2016 and is now stepping up to the 250cc machine. Noteworthy, is the only female rider in any Speedway Championship class in 2017, Shani Cole, who will mix it up with the lads in her first time in an Aussie title battle. * Top 8 from qualifier race will move to the Championship race. 9th and 10th finishers in the qualifier race become 1st and 2nd reserves of the Championship race. Gas Gas has retained Spaniard Jonathan Barragan and Antoine Basset for the 2017 FIM EnduroGP Championship despite many of the rival factory team vying for the services of Basset after the French star won 2016 Privateer of the Year as a result of his 11th place overall. 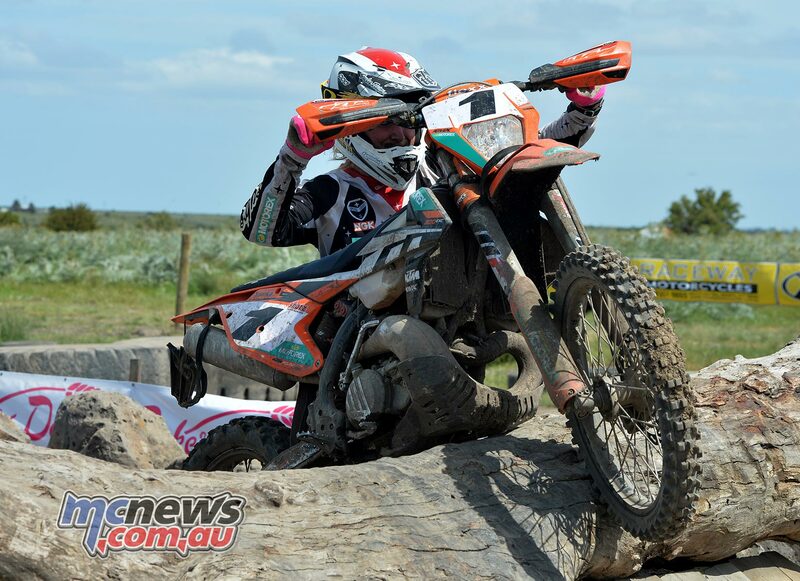 2016 Australian Off-Road Championship winner Daniel Sanders is rumoured to be joining defending EnduroGP World Champion Matthew Phillips to contest the FIM World Enduro Championship in 2017 and 2018. 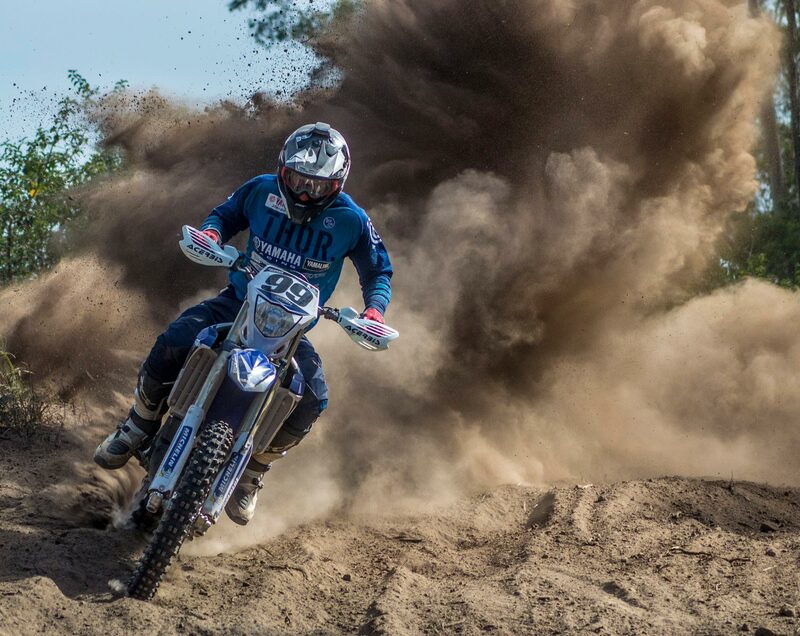 ‘Three men on a mission’ is the team motto for the Active8 Yamalube Yamaha team in 2017 as the field a three pronged attack to contest the Australian Off Road Champion (AORC), the Australian Four Day Enduro as well as high profile off road events like the Finke and Hattah desert races. Beau Ralston, Josh Green and Wil Ruprecht will compete in the E3, E2 and E1 classes respectively under the guidance of former off road champion, AJ Roberts. Beau Ralston finished the 2016 season on the injury list after sustaining an ankle injury late in the year. 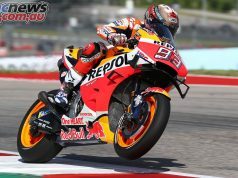 But he has recently got back on the bike and returning to training in his preparations for the 2017 season. Ralston will handle the E3 duties for the team, mounted on a YZ300X, a GYTR big bored YZ250 two stroke, with Ralston already loving the change back to a bike he is familiar with. Josh Green has put the knee injury that sidelined him for the majority of the 2016 season behind him and putting in the hard yards during the off season in an attempt to make this 2017 season his best yet. 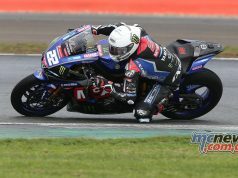 After five months off the bike, Green successfully returned to action at the A4DE last month to take the 250cc (E1) class win but hasn’t stopped riding and training since then to make up for the lost time due to injury. Green will step back up to his preferred E2 division and campaign the Yamaha WR450F chasing class and outright honours in all major events. Green has shown he has the speed to match it with anyone in Australia and will be ready to rumble when the opening round roars to life. 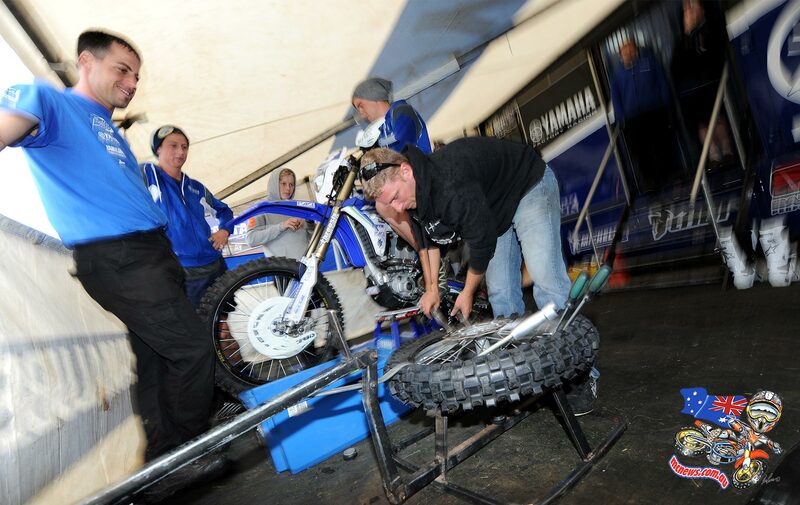 Making his debut on the Active8 Yamaha team is 18 year old New South Welshmen, Wil Ruprecht. 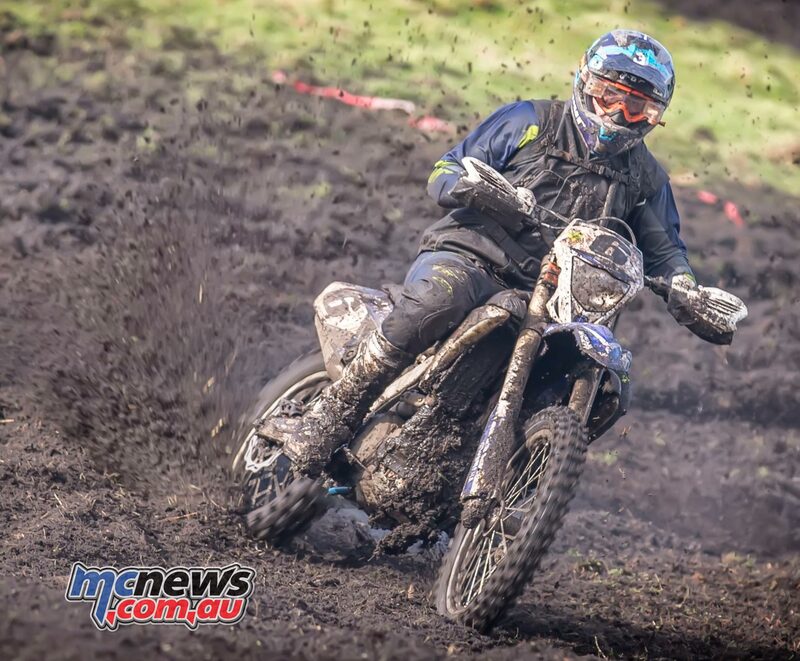 Ruprecht scored the ride with the Active8 Yamaha team after a breakthrough season in 2016 after winning the U19 category at the Australian Off Road Championships. Ruprecht will be mounted on a YZ250FX and his focus will be the endure like the AORC and the A4DE. “I kept my eye on Wil throughout the year and was really pleased how he progressed. He is a young kid with great style and understanding of off road and he fits in perfectly with Yamaha’s step up program as a rider we can develop in the future. He will represent the team in the E1 class and come up against some well-established names, but we believe he has what it takes and placing him in a good environment with good people will benefit his racing. Working with young, determined riders is always exciting and I look forward to working not only with Wil, but continuing with Beau and Josh and chasing some championship success together. The AORC is down for 12 rounds starting in April as the first major event of the year. Combine the desert events and the 4 day and the Active8 team is in for one busy season.